When Rick Hendrick bought his first dealership on Independence Boulevard, City Chevrolet, he had no idea that Charlotte's growth would later require him to relocate outside a second loop nearly 15 miles away. When the city announced plans to widen Independence Blvd., Hendrick Automotive Group sought a large parcel of land near the new 485 Beltway and Independence Blvd. to relocate several of their existing dealerships, as well as provide room for future growth and land to sell off to other dealers seeking sanctuary from the Independence widening. Hendrick purchased a total of 173 acres near the Central Piedmont Community College, Levine Campus, at the end of Charlotte's new light rail hub. 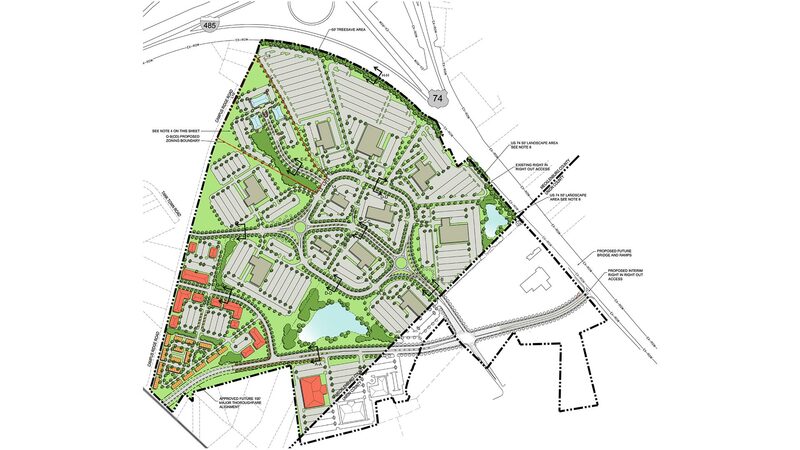 Hendrick asked REDLINE to provide a comprehensive masterplan to accommodate up to 12 dealerships, 60 townhomes, 175,000 sq ft of office space, 75,000 sq ft of retail and up to 2,000 new jobs for the Matthews township area. Taking into consideration the light rail hub and CPCC, REDLINE has kept the pedestrian scale of downtown Matthews with tree lined streets and street front retail & mixed use facilities. 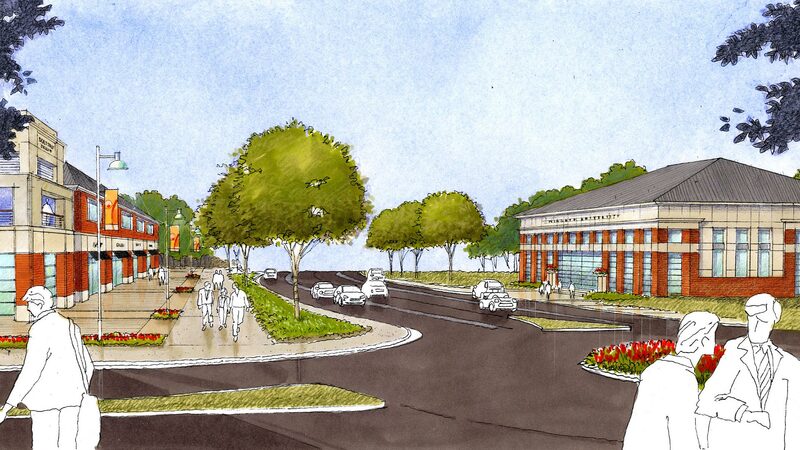 Hendrick also has plans of making this development home to their corporate headquarters.